Yankees Ride “The Schwartz” to Victory | That's Twins Baseball. A Minnesota Twins Blog. How did the Yankees win the World Series last season and look poised to make another run at the title this season? Never underestimate the power of “The Schwartz”. 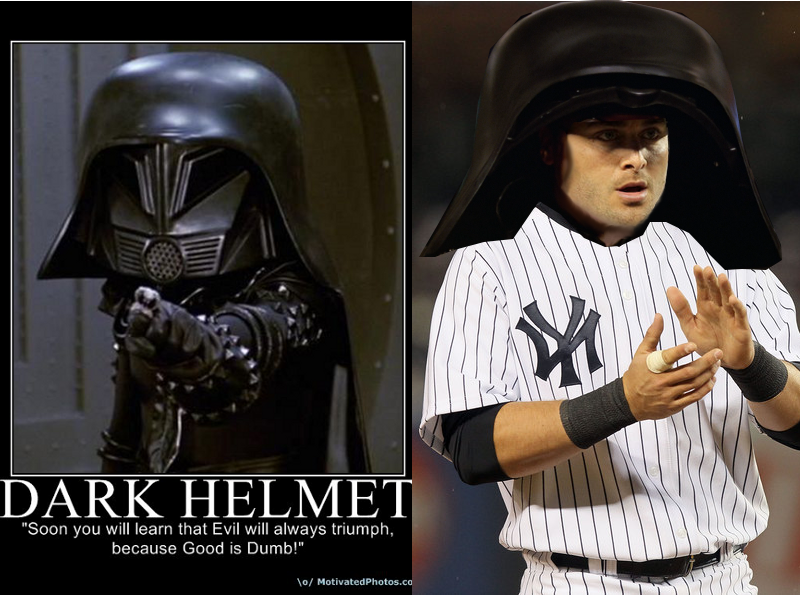 Just ask the littlest guy on the team with the biggest helmet, Francisco Cervelli aka Dark Helmet. Talk softly and carry a big helmet, and be a horse jockey if you want.